Uwezo fund, Youth fund or any accrued funds must be repaid before March 2019 - Ganze Mp Mwambire gives an ultimatum - Bana Kenya News, Real African Network Tubanane. Ganze Mp Hon. Teddy Mwambire cautioned his constituents over benefits accrued in the previous regimes. He talked youth fund which benefited a few and never repaid. "Individuals who sexually molest school children both boys and girls will be dealt with without favour or partiality like what has been happening previously." Hon. 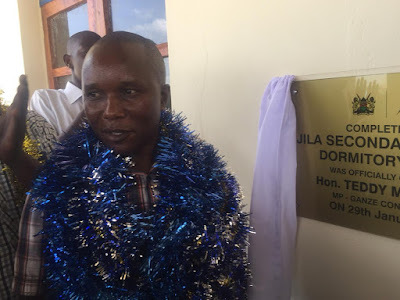 Teddy Mwambire said so while addressing parents, teachers, students and guests during the official opening of the Jila Secondary School Girls dormitory Monday 4/2/2019 afternoon. The MP said individuals cohabiting with school children or having a compromising relationship with any student regardless of gender will be dealt with accordingly. "We want or school going children to be given conducive environment so as to produce the best results as expected," the MP said. We are struggling to restructure the infrastructure in all the learning institutions so as to make them meet the required standards. 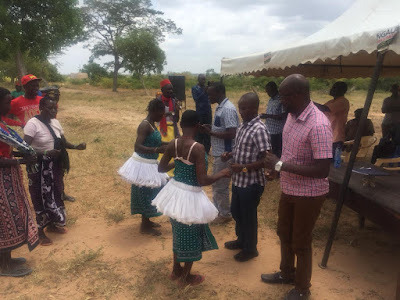 The MP further cautioned that all those groups which benefited from UWEZO FUNDS or youths and women enterprise funds in the previous regimes MUST pay back so that other groups in the constituency can benefit. He said by March, those who will not have heeded his kind advice will be prosecuted. The MP stated that it was shameful that since he came into power, he has not seen anybody benefiting from those funds so as to stimulate some individual and groups development initiatives simply because of some unreliable individuals and groups who were entrusted with such public funds. "For sure, this constituency had lost direction especially if you analyse what I came to found in the office. NG-CDF funds were even allocated to projects outside the constituency and some imaginary projects which we have managed to reverse by now," the MP stated.